Love the quality and softness of T-shirts. 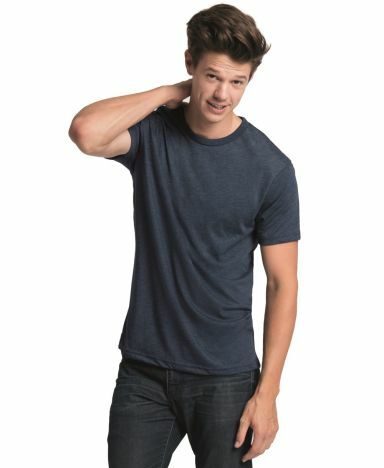 The Next level 6010 tri-blend crew shirt is very soft and comfortable. My company loved the t-shirts and it's all because of great quality. Love the tri-blends. Great comfort and wearability for the price. Great fabric and fit for a good price. Plus quick shipping! Great shirts, great customer service. Purchased more as they are the best fit, quality and wear well. Q: It says the heathered white is almost a light gray...is there any way to get a slightly whiter heathered color? I like the way heathered shirts look but would prefer it was clearly white. Q: Do shirts cling to your body/stomach, form fitting? A: This brand offers "fashion fit" tees so they are more fitted than a standard box-y tee, however they aren't completely form fitting.